How one study will bridge the gaps that make everyday computer programs slower and less secure. 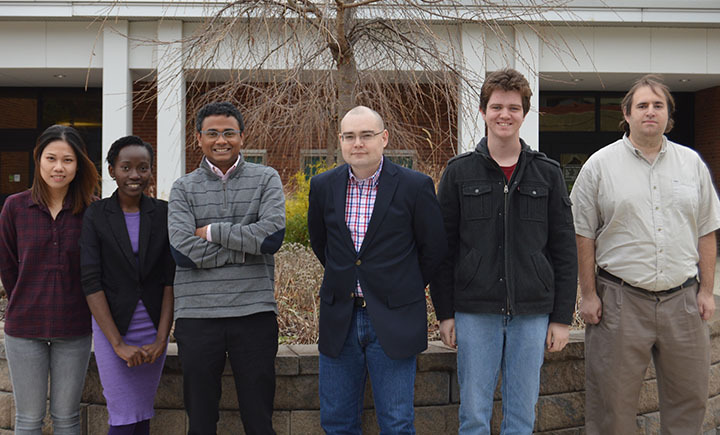 Computer science assistant professor Aravind Prakash, third from the left, with a group of students currently working in his lab. “There’s a lot of code in the memory of programs that is hardly used,” explained Prakash. This project plans to find ways to debloat software by getting rid of that excess code. The perfect example of this is a standard internet browser. There are three main goals of Prakash’s study: He wants to lower load-times, maintain a high level of accuracy and support the original source code or legacy code that often gets left behind as programs go through updates or improvements. Prakash has a team of students, including PhD students and undergraduates, working with him on this project but is currently looking for additional talented and self-motivated students to join his lab. “The students in my security lab work on a variety of hands-on projects. For instance, we do a lot of reverse engineering which is like having a cooked dish and trying to figure out the recipe,” said Prakash. 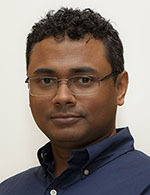 Prakash’s proposal, “ALBER: A Backward-Compatible Late-State Debloating Platform for Mobile and Desktop Environments,” will have funding through September 2021.